Why not add a shot of booze, I thought one dreary day? And thus this dessert was born. Cynar is an Italian liquor that is fairly easy to find, but if you have trouble just ask your local liquor salesperson for a good substitute. I find shortbread to be a lovely way to just have a nibble of something sweet with out the feeling of “committing” to a slice of cake. Here I have called for you to rub in lavender buds, but if that is too off the wall for you try a simple lemon zest addition and it will still be stellar! 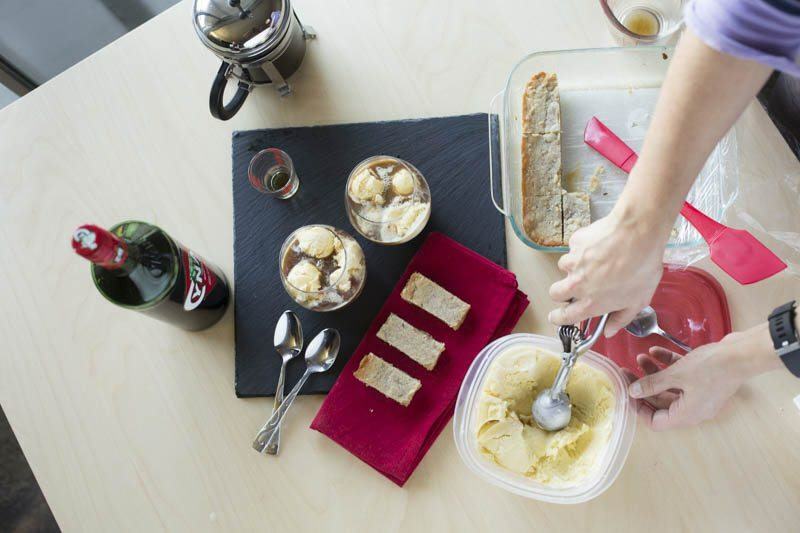 The homemade ice cream is a special treat that not everybody is willing to pull off. If you have time to make the base beforehand, it does well sitting in the fridge overnight to cool completely. 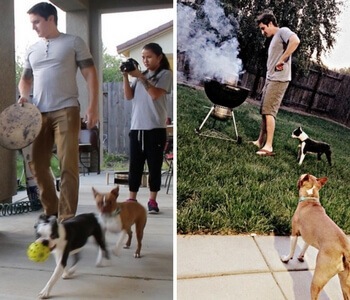 But who has time for that! 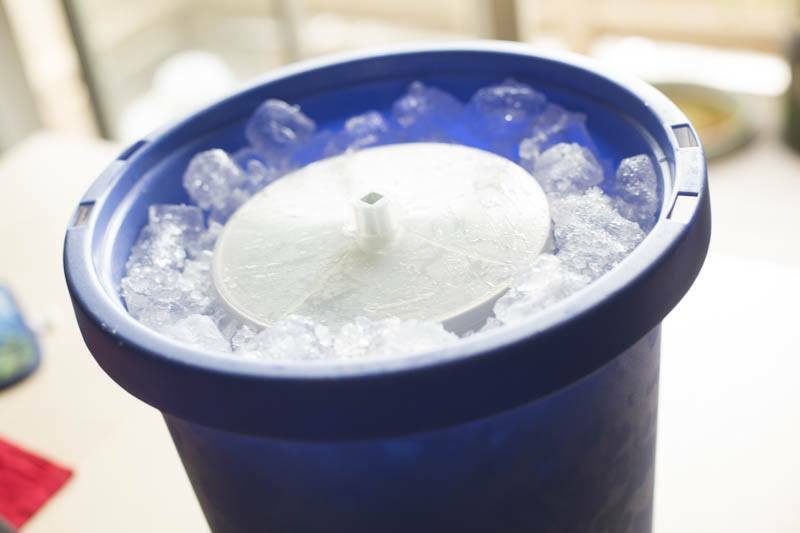 To expedite the process, you can chill the ice cream base quickly in a casserole pan in the freezer before you spin it in your ice cream maker. 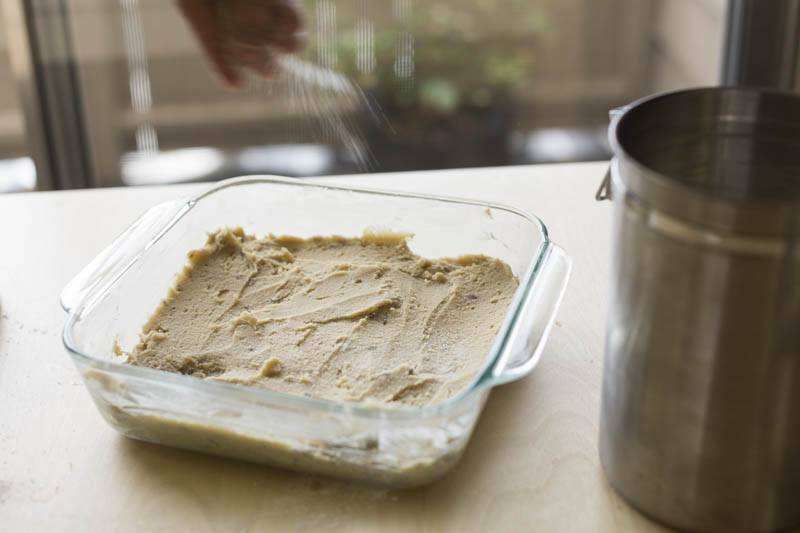 For the shortbread, preheat your oven to 325F and place a baking rack in the bottom third of the oven. 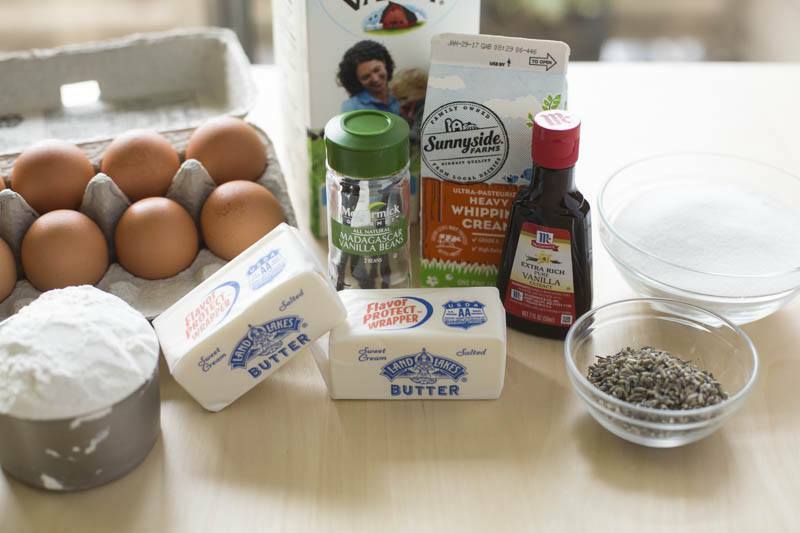 Prep an 8×8” brownie pan with baking spray and line with parchment paper. 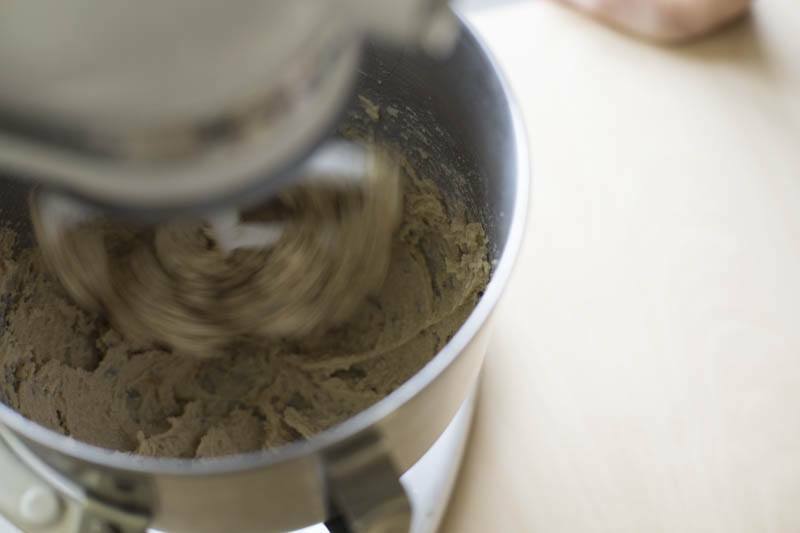 Using a stand mixer fitted with the paddle attachment, cream butter and sugars with lavender buds (or delicious flavor addition of your choice!) till light and fluffy. Take the bowl off the machine, and use a spatula to scrape the bottom of the bowl to make sure all the bits of butter are mixed in well. Place back on the mixer and blend fully. Add egg and vanilla extract, scraping the bowl and mixing fully again. Add in dry ingredients and mix on low till fully blended. Spread evenly into the brownie pan, and give a sprinkle of sugar on top. Bake in lower third of oven 20-25min, rotating halfway, until evenly golden brown. Cool then remove from pan to portion. Cut into 16 squares. A note about ice cream: here is a classic mistake of the at-home cook. They see a recipe and think, “Milk? I'll substitute skim! Cream? Bah, I'll just use more milk”… does not work! This recipe benefits from full fat milk and heavy cream. It is ice cream, not a diet regimen! The point is to be decadent and honor the work all those dairy cows went through. So, bring your heavy cream, whole milk, and half the sugar to a rapid bowl in a medium saucepan. In a large bowl combine other half of sugar and yolks with a whisk. 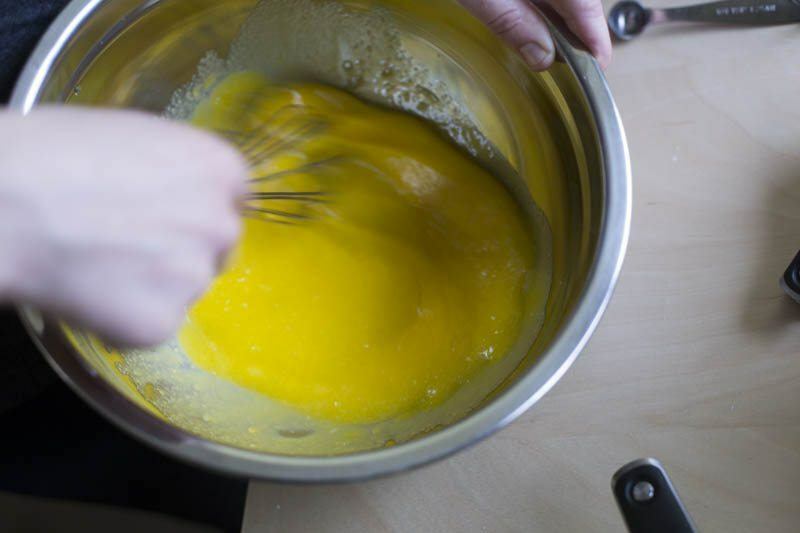 Whisk rapidly till yolks are a little lighter yellow in color. Temper in hot cream mixture bit by bit into the yolk-sugar mix until everything is combined. Strain through a fine mesh sieve, cool to room temperature and refrigerate till very chill, and up to overnight. Strain again just before freezing in ice cream maker according to manufacturer’s instructions. Hard freeze in freezer until service. Scoop vanilla ice cream into a small chilled cocktail glass. 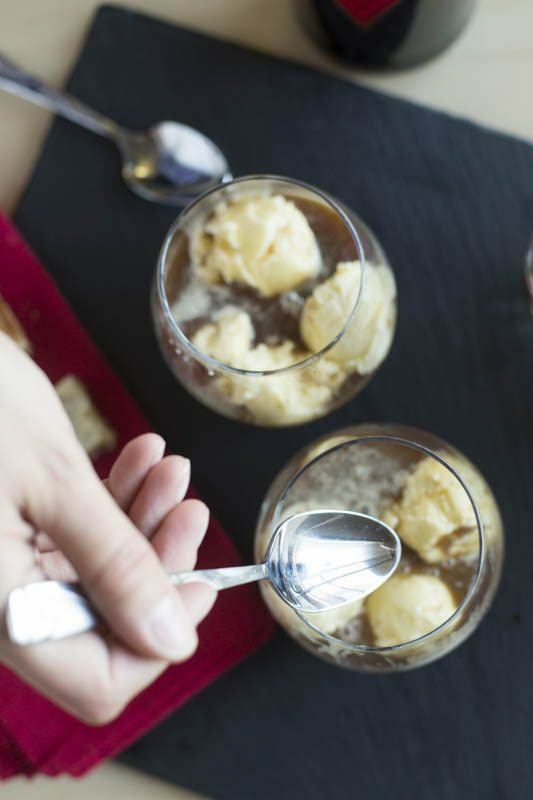 Pull a shot of espresso, pour over ice cream, followed by a shot of Cynar or any of your preferred after-dinner drinks. Serve with shortbread. 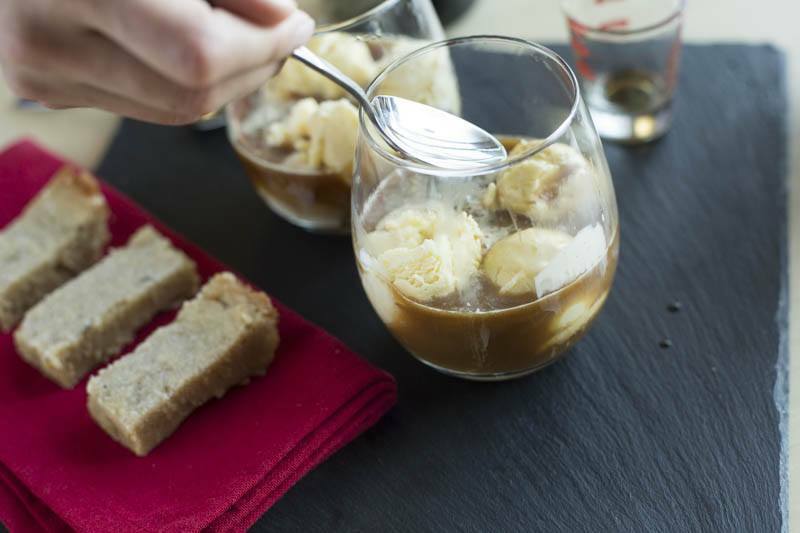 This Affogato with Lavender Shortbread, and a shot of Cynar is elegant and simple, doing triple duty as a dessert, coffee, and after-dinner drink. Guests will love it! Prep an 8x8” brownie pan with baking spray and line with parchment paper. Using a stand mixer fitted with the paddle attachment, cream butter and sugars with lavender till light and fluffy. 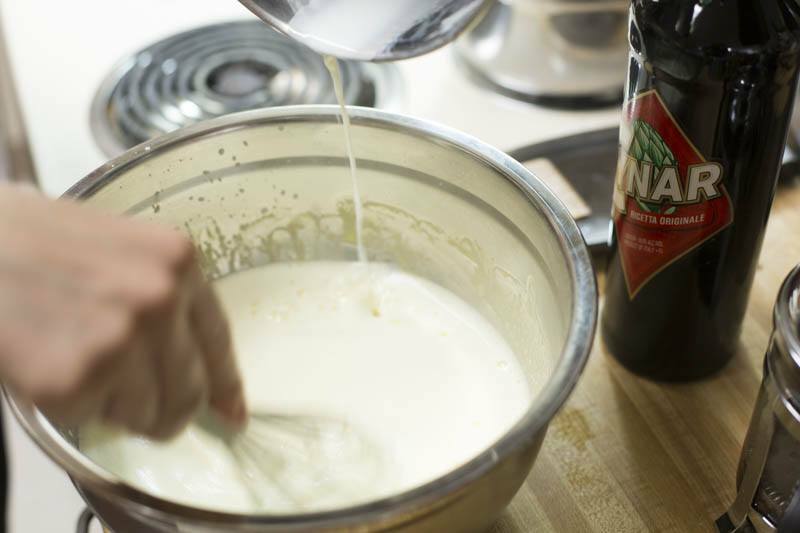 Add egg and vanilla extract, scraping the bowl and mixing fully. Add in dry ingredients and mix on low till fully blended. Spread evenly into the brownie pan, and give a sprinkle of sugar on top. Bake in lower third of oven 20-25min, rotating halfway, until evenly golden brown. Cool then remove from pan to portion. Cut into 16 squares. Bring cream, milk, and half the sugar to a rapid bowl. In a large bowl combine other half of sugar and yolks with a whisk. Blend till yolks are a little lighter yellow in color. Temper in hot cream mixture bit by bit into the yolk-sugar mix. Strain through a fine mesh sieve, cool to room temperature and refrigerate at least 6 hours, up to overnight. Strain again just before freezing in ice cream maker according to manufacturer’s instructions. Hard freeze in freezer until service. Scoop vanilla ice cream into a small chilled cocktail glass. 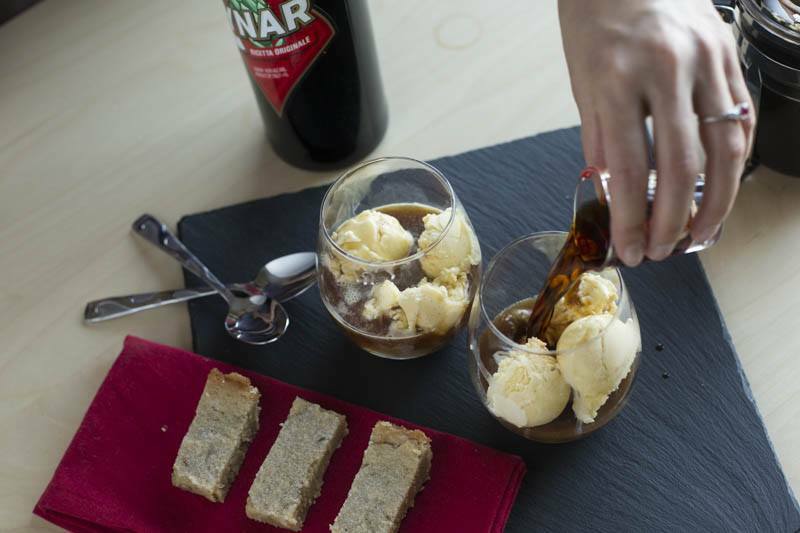 Pull a shot of espresso, pour over ice cream, followed by a shot of Cynar.